“We encourage you to follow this counsel with the assurance that a people prepared through obedience to the commandments of God need not fear” (First Presidency letter, 24 June 1988). Well it just seems the earth is in commotion. Things keep happening faster and faster. Are you as ready as you can be? It is true one cannot be ready for everything but you can offset the pain by doing something. Doing nothing will be the opposite results. There have been so many devastating things coming so quick but we need to think. Fuel will probably go up as refineries have closed for storms. Food prices are going to go up because crops have been destroyed. Even here in Iowa we have had so much rain farmers are having a hard time harvesting. I do think there are rough patches ahead from everything that is going on. That is why we need to keep to the task of preparing. For me. I store basic items that I can make things from scratch out of. http://allaboutfoodstorage.com/wp-content/uploads/2007/09/CANNERY-COOKBOOK.pdf - here is helpful info on food storage. https://www.lds.org/ensign/2012/03/everyday-home-storage?lang=eng&_r=1 - this has very helpful steps to take. Try to store foods you can use to make a variety of things from. Look through your recipes to find out what those ingredients are. Again, I want to remind you that you need to keep physical copies of your recipes. https://www.thespruceeats.com/learn-how-to-cook-everything-from-scratch-1388352 - here are some things about scratch cooking. Dig into the site. They have make your own chicken nuggets and making your own bread crumbs. There are so many little frugal things one can do. Yes, it may only save a small amount but when you do many frugal things it adds up saving on the budget. When your income suffers knowing you can do things for little just knowing how helps so much so keep learning. Cooking from scratch is a very important skill to develop as we have to fix food every day. We should also be on the lookout for equipment we will need, to this end I look at thrift stores and yard sales for items that will help me to cook from scratch and to help me store items. At the same time I’m learning and trying new things to build my skills. https://www.newlifeonahomestead.com/long-term-foods-for-stockpile/ this has her list of long term food storage. Canning your produce is frugal but looking for good sales is just as good….the main thing is that you put in some storage. 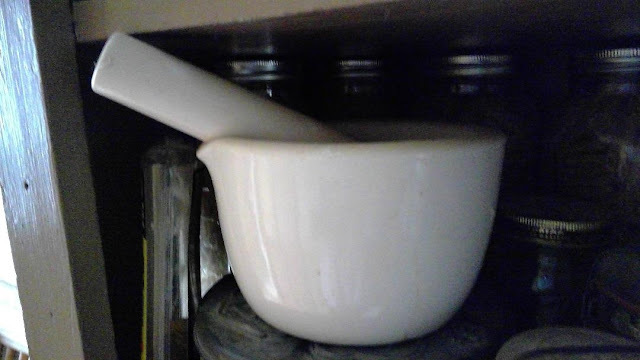 https://www.newlifeonahomestead.com/frugality-on-the-homestead/ - frugal ideas, I really like the soup tip before payday. I know lots are talking about homesteading but you don’t have to homestead to build your storage. Remember to think bigger than just food you need. Good first aid storage, toilet paper, and feminine items. Just keep in mind items you use like shampoo, deodorant, toothpaste and toothbrushes, dish soap, laundry soap or things to make it. You get the idea. I store liquid dish soap as well as dishwasher soap because I use both for different things. Just use your common sense. Do as you can, don’t be freaked out and spend more than you have and don’t do nothing. Just pick up something extra when you go to stores...that would be less painful. https://www.gracefullittlehoneybee.com/30-items-can-make-home-save-money/ she shows you how to use these recipes to save money. Do the best you can to live frugally to build your storage and to build your skills and be a blessing to others. I also like to have available tools that can be used to do things without electricity, just in case the power is out for a while. For example, a manual egg beater (easier than mixing with just a spoon! 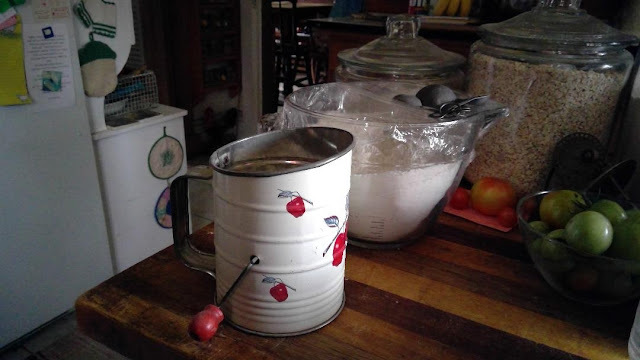 ), old-fashioned coffee grinder, lots of needles for hand sewing, a washboard and laundry line for cleaning clothes. I love what you write. Thank you. I agree and am doing my best to build things up here. good job we must all keep at it. 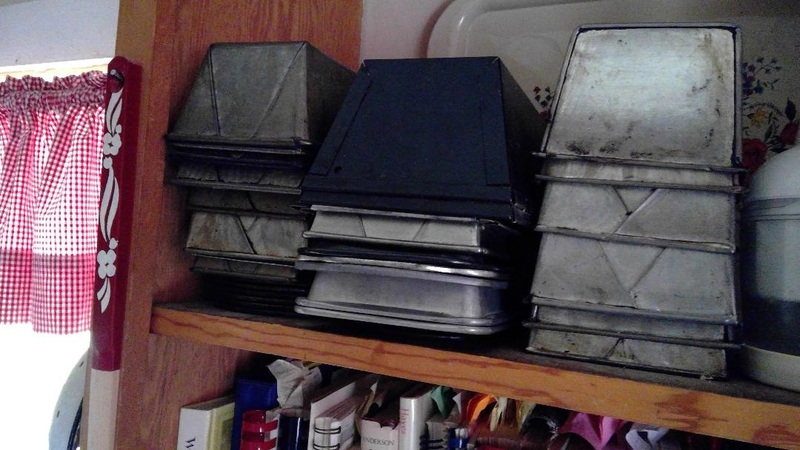 I envy your collection of bread pans and I don't even know how to make bread!! I went to the cooking from scratch website; looks like some good tips there. 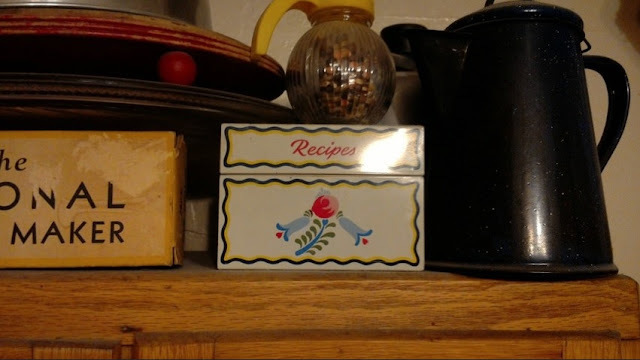 I agree that we need to keep our cookbooks, because if the web is down, we won't have access to all those yummy recipes. 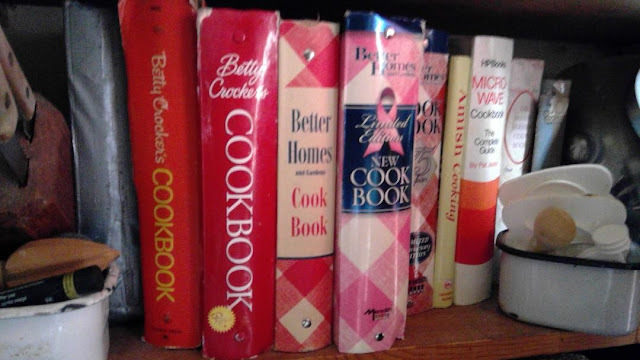 Now is a great time to buy cookbooks from thrift stores because so many people are getting rid of them. My son processed his own deer last year into hamburger. He bought beef fat to add with it and ground it himself. I was so proud of him and think I may like to try that too! those bread pans I have only bought about three from store and one of those was a thrift store the rest were yard sales most were ten cents each. I have collected them for forty some yrs even now if one is ten cents I cannot pass it up. Cookbooks are very cheap used I like the ones with everyone's favorites in them. your son is doing a good job. it all is hard work but has helped us tremendously. Our neighbors came up with a great idea to save money and use up food on hand. They simply started grocery shopping on Monday. The kids are home from school all weekend and what is left from the week before that is perishable gets eaten before new grocery items are brought home. a good thing to have a plan these days what ever we can do for sure. things will get tighter before their not.